Should schools be held liable for “unacceptable” levels of security? How much security is enough? What steps can schools take to not only provide physical protection for the building and its occupants, but to protect against lawsuits? Even if we only consider the space with the smallest occupant load – the classroom, the codes do not give us many options for preventing a student from eloping. If the classroom has an exterior door that is required for egress, it can not be locked in the direction of egress…. This is a guest post from John Truempy, CRL, CMIL, president of ALOA – Institutional Locksmith. This article appeared in ALOA’s publication – Keynotes, last October. My question for you is…how can we use our industry expertise to help with these efforts? Every school shooting is disturbing, but seeing a number like 74 shootings is enough to drive schools to use any methods possible to protect students and staff from the imminent threat of an intruder. As we’ve discussed before, many of the security devices being employed by schools are not code-compliant, and/or not a good long-term solution. These are egress doors in an occupied school gym. Luckily they are going to be replaced shortly, but meanwhile, I’m Wordless. School Guard Glass is a new product that can retrofit existing 1/4″ glass at a cost of about $1,000-$1,200 per full glass door lite, and it kept the testing agent at bay for 6 minutes during independent testing. What do you think? Will lawmakers uphold the codes that have been protecting us for decades, or will they change state laws to satisfy the parents and teachers who are pushing for a change that would sacrifice free egress in favor of inexpensive locking methods? This video offers some good options for school security, along with predicted outcomes of the Sandy Hook lawsuit regarding security glazing and lockable classroom doors. We need to make schools SAFE AND SECURE – these goals are not mutually exclusive. You need to login or register to bookmark/favorite this content. Why? Because it’s easier and less expensive to secure the door when you don’t consider codes or safety. This is a shorter version of my article Barricade Device? Think Twice! that can be used in newsletters if the original article is too long. Please leave a comment below if you submit either article for publication, including the name of the publication and the approximate date. I could use your help with my testimony for the upcoming hearing. If you were sitting in the hot seat in front of the Board, what would you say?? As many of you know, on Fridays I usually post a photo of a creative way someone has solved a door problem, which is often non-code-compliant and unsafe. If you’ve arrived here today looking forward to this week’s Fixed-it Friday photo, I apologize because I have to write about another type of “creative problem-solver” today. This report gives a very good overview of what we’re up against in the mission to secure schools while maintaining life safety. If funding is not available, schools will come up with their own solutions. If those solutions are not code-compliant, legislators will override the codes. This will continue to happen until another tragedy occurs. I wonder how many tragedies it will take. Today I presented as part of a panel discussion at the annual conference of the National Association of State Fire Marshals, along with my fellow panelists: Larry Flowers – Ohio State Fire Marshal, Ed Paulk – Alabama State Fire Marshal, Kelly Nicolello of UL, and John Woestman of the Builders Hardware Manufacturers Association. The panel was moderated by Jim Tidwell of Tidwell Code Consulting, and Jim Narva of NASFM kicked it off. If you have not watched this 2014 Dateline series on school shootings, it gives the perspective of survivors and describes their struggles in the months and years after the tragedies occurred. Very moving. What do you think? Is this the safest school in America? What do you think about the idea of using a children’s book, like this one from the ALICE Training Institute, to teach kids about preparing for a school shooting? These school security requirements could eventually be incorporated into your state’s school security legislation. What additions or changes would you like to see? THE VOTES ARE IN, and the code change proposed by BHMA to address classroom locking in the 2018 IBC has been approved as modified by public comment! If a school decides to buy all new doorknobs for their school, and only buy a lever handle for the one classroom with a teacher who has a disability, in my opinion that would not meet the intent of the ADA. What makes it ok to do the same thing with classroom barricade devices? Here’s the latest on classroom barricade devices…let me know what’s happening in your state. I occasionally publish a post from a guest blogger, and I just learned that sometimes the author can receive CEUs for these posts through various industry organizations. Today’s post is from Don Cherry of Allegion. After a lockdown system was installed at this elementary school, a piece of pipe insulation was glued to the entrance door leading to the day care center. Why? I give up. Not really. I will never give up. 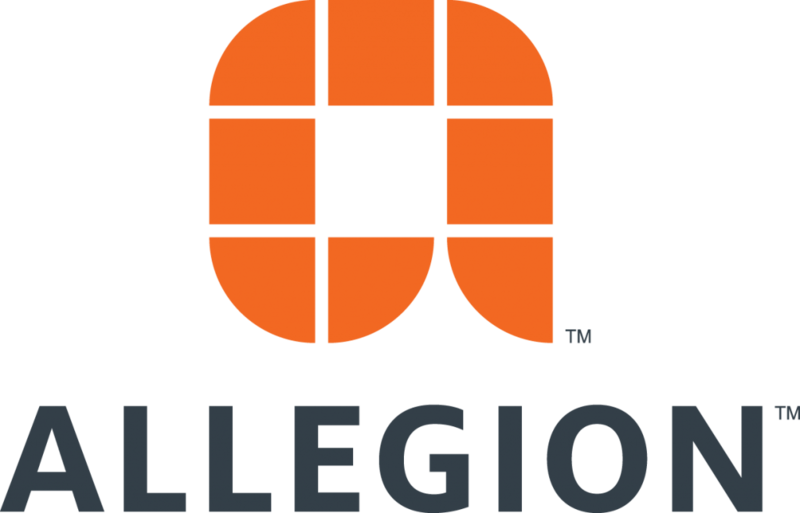 On Thursday, September 14th, Allegion will be offering a free 1-hour webinar on access control hardware – at 11 a.m. and 2 p.m. Eastern. Have you seen the new website from the Door Security & Safety Foundation – LockDontBlock.org? Does your state Board of Education publish a set of guidelines like the ones used in Illinois? I’d love to see them! When this story was posted on Facebook yesterday, several people attempted to address the code issues associated with the teenager’s invention. A commenter posted a link to one of my articles, and another commenter called my article “a fallacy”! Lawmakers in Delaware are scheduled to vote this week on a bill that mandates certain security features in new schools and schools which undergo major renovations. I just read an article in the Washington Post – Another school shooting: Are we numb to it? I don’t know about you, but I am not numb. Whether you live and work in Utah or not, a bill that is progressing through the Utah State Legislature could help to set a precedent that may eventually affect your jurisdiction (so please listen up). On Tuesday, I wrote about a bill that was passed by the Utah Senate, which would allow classroom barricade devices to be used in Utah schools. Here’s a follow-up. Jon Millsap posted this Fixed-it Friday photo on his Facebook page (Locksmith’s Journal), and he gave me permission to share it here. What do you think? Yea or nay, and why or why not? The Department of Defense has issued a set of guidelines for schools called the Physical Security and Antiterrorism Design Guide for DoDEA Educational Facilities. Yesterday, I read an article about a college in California that purchased and installed 1,000 barricade devices at a cost of more than $200,000, as recommended by the local police chief. The college later removed the devices, as they are not compliant with the building code and fire code in California, or with the ADA. Let’s help school administrators learn how to secure doors more quickly while keeping evacuation options open, rather than on how to make security cheaper while ignoring the potential consequences. I’m ready to create any documentation that you need to facilitate these conversations, but I need your help. What information should be included? I can hardly believe that iDigHardware is 9 YEARS OLD! There has been a lot of discussion about whether classroom barricade devices are “legal,” whether they are a violation of the ADA, and whether their use increases liability for schools that use them. This type of lock is not panic hardware. We need to be aware of these claims and prepared to address them when questions arise. Here is one state fire marshal’s answer to the school security question. What do you think? Since the shooting at Marjory Stoneman Douglas High School, I have thought a lot about lock functions for classroom doors; the news reports and the testimony from Parkland teacher Stacey Lippel added some new perspective. The first meeting of the Marjory Stoneman Douglas Public Safety Commission was held this week, and information was shared which will help us to understand the role played by physical security and design features of the building. What do you think about using a special-purpose door for security compartmentalization? Someone suggested to me recently that I might be opposed to classroom barricade devices because I work for a lock manufacturer. I’d like to clear that up right now. I’ve had several CSI chapters ask if they can include this article in their newsletters or technical libraries, so I had it reformatted into a printable PDF. The National Fire Protection Association (NFPA) recently released a new standard – NFPA 3000 – which sets guidelines for Active Shooter/Hostile Event Response (ASHER). As a last resort, I support using whatever is on hand to secure/barricade the door. But if we have time to look at the school’s current situation and plan the response – is this REALLY the best we can do? Let’s do a better job of planning. Teachers should not have to resort to this. Why would state legislators consider removing a requirement that ensures free egress and the option of evacuating, and replacing it with language that allows just about anything? The glazing goes hand-in-hand with the door hardware – even the most secure hardware can be overcome by breaking the glass. In the last year or so, much more funding has become available for school security upgrades – millions of dollars. But how should the money be spent? During a segment of NFPA Live, Robert Solomon, Division Director of NFPA, was asked about barricade devices on egress doors. Clothesline to tie the hardware? Duct tape to prevent smoke from coming in around the door? Solutions to address these risks have been available for decades. Why are we substituting duct tape? I agree that these doors are “an extremely discreet solution,” but the last time I checked on the feasibility of using bullet-resistant doors on classrooms, there were several common objections. Although this is not one of the most beautiful solutions I’ve seen, I couldn’t think of a code issue as long as the hold-opens are above the minimum clear headroom of 80 inches. What do you think? At this point I’ve probably read hundreds of articles on school safety and security, and written dozens of blog posts and articles on the topic myself. This one was a pleasant surprise. Thank you to everyone who forwarded this letter from the Office of the State Fire Marshal. I appreciate your help keeping track of what is happening in each state. Michele Gay is the mom of Josephine Gay, a first-grade student who was killed at Sandy Hook Elementary School. Michele brings a different perspective to what we do every day. Please watch. Requiring each school district to employ a certified school safety specialist seems like a great way to ensure that the right information gets to each community. Does your state have such a program? Recent news reports have questioned the motivation behind the security industry’s involvement in improving school security. This editorial represents my perspective. What would you do if you were in this situation? It’s not always easy to do the right thing, but could you live with yourself if something happened? Were schools in your city or town used as polling places in last week’s election? What precautions were taken to maintain security and safety while allowing access to all registered voters? This TEDx speaker has an interesting perspective on school security. It’s not all about hardening, monitoring, defending. The decisions made now could have lasting effects on kids. Are these safe areas identified in each of the classrooms in the schools that you work with or visit? What do you think of this security measure? I’d love to hear your opinions on some of the recent media coverage that presents the school security industry negatively. Are they talking about US? If not, how do we make that clear? I thought of so many titles for this post that would have been apropos but might have offended someone, so I’ll let you come up with your own. Saturday, December 1st, 2018 was the 60th anniversary of the fire at Our Lady of the Angels School in Chicago, where 92 students and 3 nuns were killed. The Partner Alliance for Safer Schools (PASS) has released the fourth edition of its Safety and Security Guidelines for K-12 Schools – visit PASSK12.org to download the guidelines! Some thoughts about the newly-released federal report, and some of the documents that are referenced in the report…have you read it yet? As I’ve said before…as a last resort anything goes, but THIS SHOULD NOT BE PLAN A! Do you agree or disagree? Andrew Harris of Willis Klein sent me today’s Wordless Wednesday photo, and it’s disheartening. This is the exterior door of a middle school classroom with one or more students who have special needs. Training alert! On January 16th the DSSF will host a webinar on NFPA 3000 – Standard for Active Shooter / Hostile Event Response (ASHER), presented by John Montes of NFPA. I really need your expertise on this one…talk to me about exit alarms to deter the use of classroom doors, or to at least notify the teacher that someone has opened the door. One part of this webinar that got my attention was the EMS perspective on how a delay in accessing the classroom could affect the medical outcome. The archived webinar is linked in this post. This video from Michele Gay of Safe and Sound Schools is a great tool for educating parents, teachers, and school administrators about school security and safety. 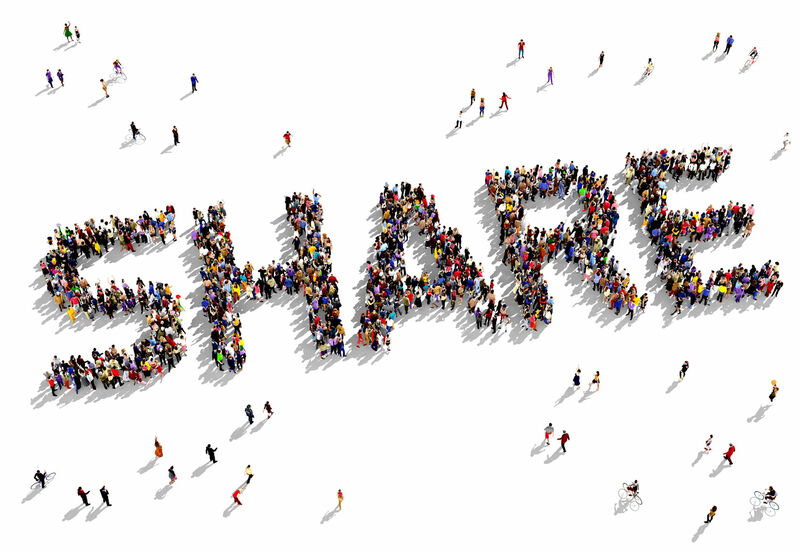 Share it! We must continue to learn from this research, to help avoid or reduce the effects of future active-shooter incidents. Please invest some time today, in memory of the MSDHS victims. Guy Grace is the Director of Security & Emergency Planning for Littleton, Colorado – the school district where Columbine High School is located. Here is his stance on classroom barricade devices. If you are looking for one document that explains the concerns associated with classroom security methods, the recently-updated PASS white paper is a great tool! I love the idea of putting our heads together to search for solutions, but inventors need to consider authorized access, free egress, and accessibility, in addition to security. If our industry is so complex that the students’ research didn’t turn up existing products or a hardware advisor, we need to get more user-friendly. This is INSANITY! This is yet another example of seeking to remove the safety protocols of the adopted codes, in order to prioritize security at a perceived lower cost.